The end may be near for James Bond…at least the one that looks like Daniel Craig. In a recent interview, Craig made it wildly clear that he is not into doing another Bond movie. While that may change, it means that Spectre, the 24th official Bond film, may be one that passes the torch to a new Bond, a distinction that only five of the films really have (although it gets kind of messy with Lazenby and Connery). Craig’s four Bond films have been received rather tremendously. His unconventional approach and downplaying of Bond’s silly side has seemingly revitalized the franchise and brought an air of respect back to the character. Still, Spectre makes nearly all of the same mistakes that caused me to knock Skyfall last time and Quantum of Solace before that. Fool me once shame on you, fool me 24 times, shame on me. Like Skyfall, Spectre starts in classic Bond style with a strong, action-packed opening as 007 sleeks through Mexico City during the Day of the Dead festival to track down and kill a man who plans to blow up a packed stadium on behalf of a mysterious organization. These opening scenes are certainly the crown jewel in the Bond film formula and have been elevated to a new level in the Mendes/Craig era. The rest of the film revolves around this mysterious organization, later revealed to be SPECTRE, and the hunting down of its leader, Blofeld (Christoph Waltz). Unlike many previous Bond installments, the Craig films capping with Spectre are actually a much more woven series of sequels than their predecessors. Director Sam Mendes, who made the two most recent Bond films, used Skyfall to introduce a thematic thread about chastising the egoism of youth and praising the wisdom of age. The film delved deeper into the inner workings of James Bond and by the end, casual throwbacks to earlier “older” Bond trappings were scattered throughout including vintage Aston Martins and the introduction of a Miss Eve Moneypenny. Now with Spectre, even casual Bond fans are aware of what director Mendes and his screenwriters are doing here. Fifty years of films are coming full circle as the supervillain that sought to destroy Sean Connery in From Russia with Love is rebooted and reloaded to strike again! Rebooting and remaking is definitely the name of the game in entertainment lately and while some are hits, I am not excited about seeing James Bond go back to square one. This is especially a grim turn for female characters. Moneypenny (Naomie Harris) does her best to keep this film from being too shallow, but it still may be the most sexist film since San Andreas. Still, the thing that makes Bond tick is the brazen confidence in the face of unspeakable danger, and Spectre has a good dose of that. The action scenes in this film deliver. Does it have as much as Skyfall? No. 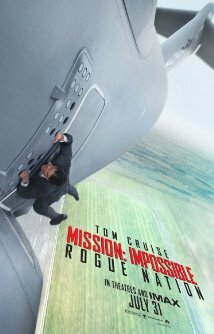 Is it miles above other recent tent pole action films in its genre like Mission: Impossible – Rogue Nation? No. To me Spectre feels like a set-up film much like 2013’s Man of Steel felt like a set-up film. Yes it’s another installment of something that’s been around a while. Yes, all of the familiar things you expect to see are there, but at the end it feels stretched out, belabored, and even a little monotonous until the end where the hints at what’s to come make you wish you could skip this movie and go right to the next one. Aside from its pacing, the other unfortunate letdown is Waltz as Blofeld. What seemed like brilliantly ideal casting at first kind of fizzles out when implemented. First of all, Waltz does not appear in the film for nearly an hour into the already overlong film. Perhaps the original intent was to have Waltz’s casting and/or character be a surprise, but the marketing would have you believe otherwise. Secondly, his introduction after the build-up is absurdly underwhelming, which is a shame when you ponder the potential of having Christoph Waltz play your hero/anti-hero supporting role…it’s kind of his thing! Javier Bardem’s turn as Silva in Skyfall, while not perfect was far more satisfying than the missed opportunity that is Waltz in Spectre. 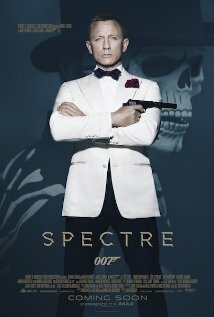 Spectre is rated PG-13 and has a running time of 2 hours and 28 minutes.